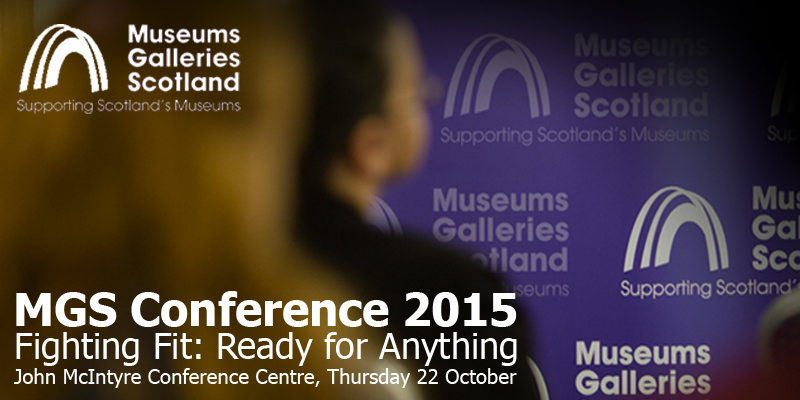 On Thursday 22 October 2015, Museums Galleries Scotland will be hosting their conference in Edinburgh. The theme of conference is ‘Fighting Fit: Ready for Anything’ and it will focus on developing the long-term resilience of the museums sector in challenging funding and political environments. AIM will be attending to talk about the ‘AIM Hallmarks of Prospering Museums’ and there are travel bursaries available for AIM members that would like to attend. The next round of AIM training grants closes on 9th September 2015 and grants are available for training events between October – December 2015.